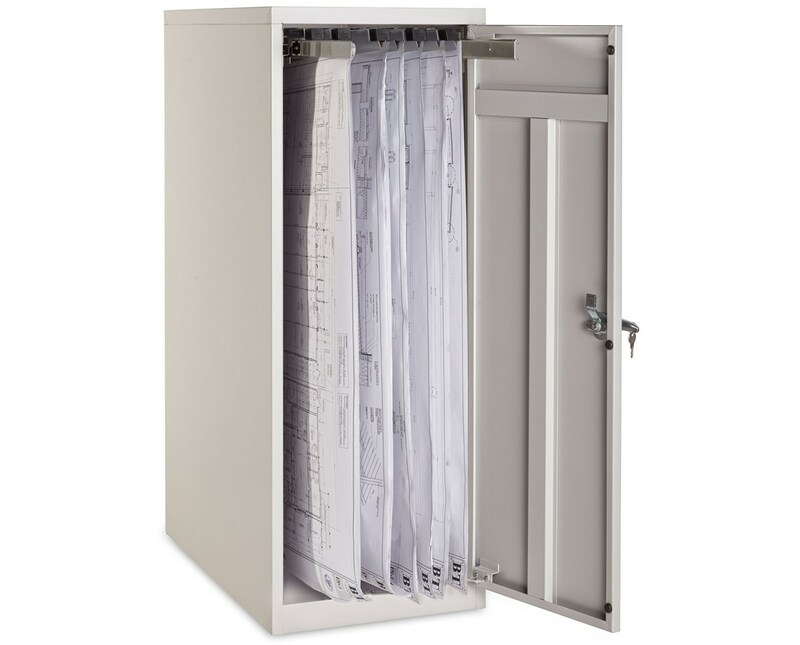 Select Size For clamps up to 24" For clamps up to 36"
Ideal for storage and keeping large files, document and blueprints, the Adir Vertical Storage Cabinet is the best solution that is great to use in home, office and commercial establishments. 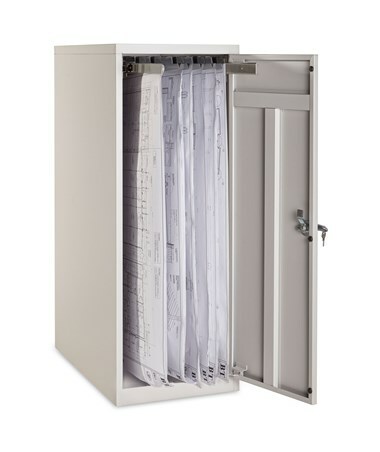 This storage cabinet can hold up to 1,200 documents and blueprints. Also, it comes with smooth-gliding ball-bearing-equipped file clamps that slide out at a touch that allows the office keeper identify and obtain the specific file needed. With a gray steel construction, it ensures durability and reliability. Also, it includes 12 ball-bearing rollers that safely clamps documents. 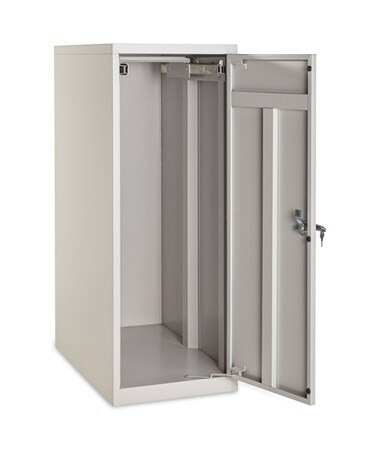 For easy mounting, it comes with a lock-equipped reinforced steel door. As an extra feature, it has a neutral powder coated tan finish that matches with any office decor. 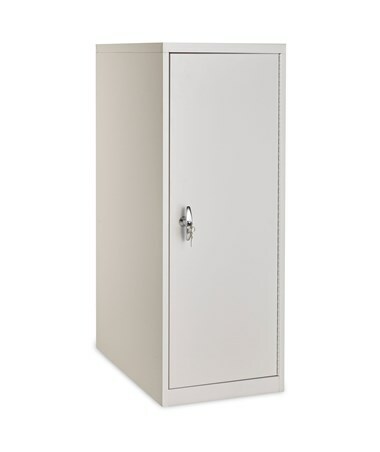 The Adir Vertical Storage Cabinet offers two sizes that suit your needs. Please select your preference from the drop-down menu above. Please Note: This is a hanging file rack only. Hanging clamps are sold separately.